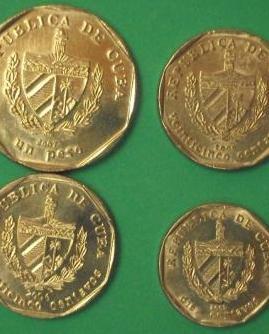 Cuban coins are two types: coins struck for the tourist, and the coins used by the people. 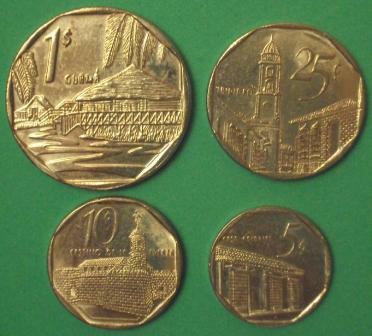 These are the Convertible coins you will receive when you change your own currency into CUC money. 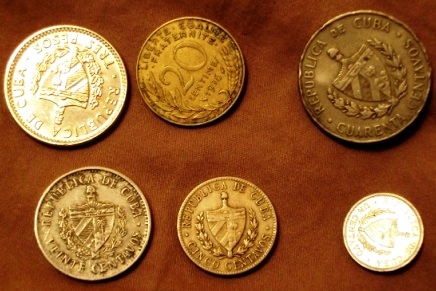 Below are National Money coins. There are 100 centavos in a National peso. 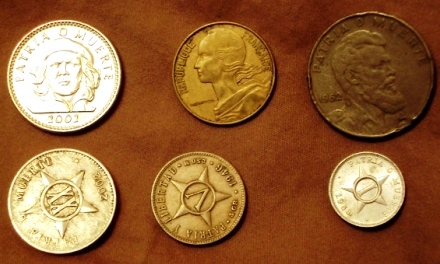 People on the street will offer you the Che Guevara 3 peso coin (top left) or Che Guevara 3 peso note (below) for five dollars. 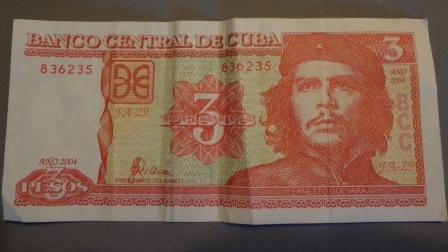 They will say it is a "lucky coin" or "lucky bill" because it has Che's image on it. You decide; each one is actually worth 12 cents.